Allan Scott Band releases "Run to You 2.0"! We are so excited to share our new remix..."Run to You 2.0"! Sometimes we don't feel lovable or valuable. Why would God want me? Doesn't He see who I am or what I've done? "Run to You 2.0" is a song about how God aggressively pursues us, even when we don't deserve it. Even when we have nothing to offer Him. "Run To You" EP Hit's #7 on iTunes Christian & Gospel! Today our new album is available everywhere! And thanks to you, the album has already hit #7 on iTunes Christian & Gospel! Thank you! The lead track from the album is titled "Run To You". I wanted to write a song about how God aggressively pursues us, even when we don't deserve it. He aggressively pursued me when I was not seeking Him. It was not because of my goodness or because of anything that I was doing. After all, I was a drug addict running as far as I could from Him. But He was good to me and saved me. In the story of the prodigal son, we see a father who ran out to meet his returning son, despite the son's actions. The father's heart was aggressively for him, even in that son's lowest place. In the same way, God's heart is always for us. He always pursues us. Even when we are not "winning". And because we know that He is for us even in those low times, we can have confidence to come to Him boldly in our time of need! It is our hope that these songs minister to you and help you experience the love of Jesus in a new way. Help Allan Scott Band Record an EP! Hi Friends! For the last 5 years, my band (Allan Scott Band) has been sharing the message of God's grace & hope with the struggling & hurting at drug rehab facilities, prisons & churches in many different parts of the country. 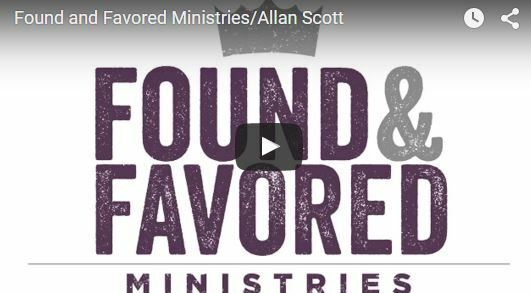 Announcing Found & Favored Ministries! Last year, my team and I ministered at 60 different worship services, conferences, rehabs and retreats. Through a combination of inspiring testimony, biblical teaching, powerful worship, and times of response, we shared how God had brought freedom and hope into our lives. As we did, we saw a common theme among all the places we visited. At every church service or event, we met folks struggling with guilt and condemnation. They weren’t sure if God really loved them or if God was indeed for them. In addition, some were struggling with substance abuse, and some were struggling with a different addiction. Feeling trapped, hopeless, and ashamed, many had been afraid of admitting their struggle. And there was another group of people. Coming forward, often in desperate tears, were those who were believing, praying and caring for a struggling family member. The Gospel Is Transforming Addicts In 2013, we began to take our ministry into rehab centers across the Northeast, and God began to work in the lives of addicts and alcoholics. We shared the Gospel with them—Jesus had redeemed them, made them royalty, and favored them. What a transformative message!When someone has been down and out, but hears the truth about their worth to God, it can be a world-shaking, life-altering message. Psalms 34:18 says “The Lord is close to those whose hearts have been broken. He saves those whose spirits have been crushed.”God began to show us that there is such a need to call His sons and daughters home. They feel unloved, they feel unworthy, but they’re still His sons and daughters.Here’s the irony—many of the places that need us the most can’t cover the ministry costs of putting on an event. Nevertheless, that’s where we need to go! Travel, equipment and personnel costs can be thousands of dollars per event. Your support allows us to say YES to the people in desperate need of being set free. Friends, would you partner with us to meet the needs of those who are addicted, hurting and struggling? Together we can make a greater impact in the lives of those who need to experience the grace and freedom of God. Together we can be the only Jesus that many of these precious people will ever meet.Fourteen years ago I had destroyed my life and thrown everything away. But Jesus saved this drug addict and thief! He changed my name from “loser” to “loved,” and gave me a hope and a future. Since that jail sentence 14 years ago, He has proven over and over that He is for me and is able to restore any situation. Here are three ways we can set people free together. Pray: Please pray that we would be sensitive to where the Lord is leading us; pray that God would open up the right doors and close the wrong ones; and pray that we would have right words during ministry times. About "Be My All"2 Corinthians 12:9 states, "My grace is sufficient for you, for my power is made perfect in weakness." If you are like me, you have faced seasons of life where you felt weak. Well, those are the very times when I have seen God do amazing things. Those low seasons always turn out to be the best times of momentum and seeing Gods faithfulness in my life! Friends, if you are feeling weak or overwhelmed in an area of your life today, know that you are being set up for SUCCESS. In those very areas and times of weakness, God shows himself as the STRONG one, the God who is able, the God who always succeeds. And He is going to succeed in you! "Be My All" is meant to encourage my brothers and sisters in Christ. God has promised to be everything to us. He is success. He is provision. He is wisdom. And He is in us, working through us and all around us for our good and His glory. So we can relax knowing that He is going to get the job done even when we can't see the road ahead. He does. He is our vision and we can trust him. He is our all. "Be my Strength when I am weak. Be my all my, my victory. Be my eyes when I can't see. 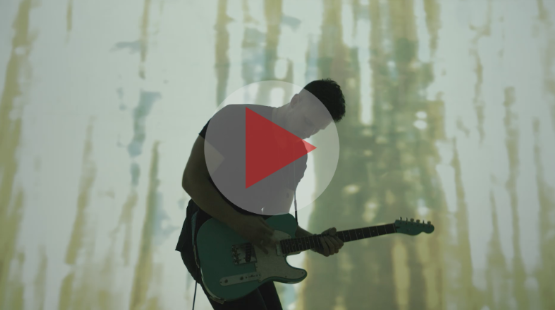 Be my everything, Be My All..."
Watch the lyric video for "Be My All"
Watch the lyric video for "What You Say" Hello Friends! About "What You Say" You know, God has given every christian the same favored and perfect standing in His eyes as Jesus.. 1 John 4:17b says, "...as He (Jesus) is, so are we in this world." This verse states that our identity is completely wrapped up in who Jesus is. As He is, so are we! So many times in my own life I have been tempted to draw my identity from my past mistakes. As an ex-loser, drug addict and thief, I am so glad that God changed my name to loved, redeemed and favored. As JESUS is, so am I. And so are YOU! Every christian has a choice- are we going to believe what our past and the enemy says that we are? Or are we going to believe the truth about who God says we are? I would encourage you to believe what God says! "What You Say": the new radio single from Allan Scott is available now on iTunes, Amazon and all other digital retailers! Allan Scott on TBN tonight, 10pm EST!